Associated Student Government Senate elected Weinberg freshman Adam Downing as its newest speaker of the Senate. Downing, currently a residential senator, defeated Weinberg sophomore Dillon Saks. He will succeed Weinberg senior Daniella Lumpkin as speaker. Downing said his passion for Senate and his commitment to efficiency make him the right choice. He said he will go through votes and procedure quickly to make the process as “painless” as possible. 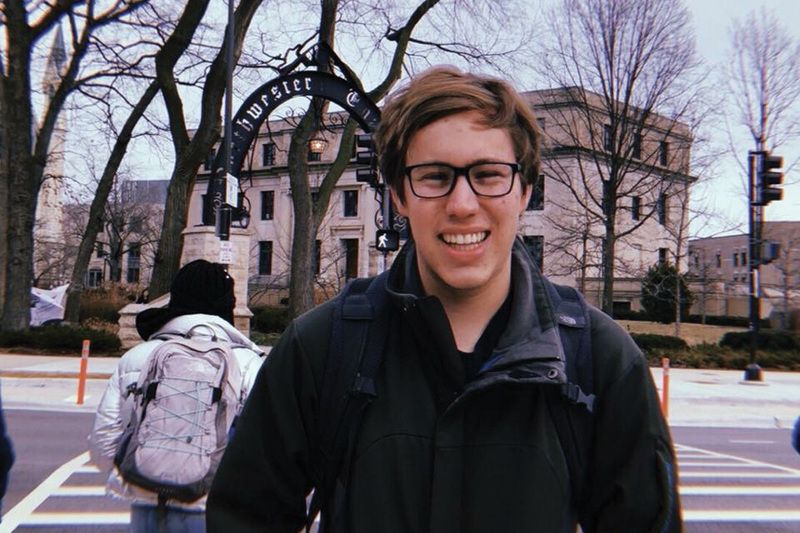 “My purpose in Senate has primarily been on efficiency (and) making sure you guys get as much time to talk with your constituents and make Northwestern the best possible place it can be,” he said. Downing is part of the Distinguished Secondary Teacher Award committee, which awards high school teachers who have positively impacted graduating seniors. He has also worked on the Senate Reform Committee and the Rules Committee. And as a member of the ASG team that hosted Improve NU — an entrepreneurial competition — Downing said he helped acquire a drone to get aerial footage of campus. Lumpkin said she was confident in Downing’s ability to lead Senate and collaborate with new parliamentarian Henry Molnar. She said he was very active on the Senate Reform Committee and had previously approached her about his enthusiasm for Senate. Saks, who serves as the current election commissioner and lost the speaker election, also said he hoped to achieve new heights of Senate productivity. However, he said, his experience on the Rules Committee uniquely qualified him for the role because his knowledge of the ASG code would ensure that every voice is heard during Senate. Saks added that he wanted to carry on the work of Lumpkin while building a “solid foundation” for his successor. Earlier in the meeting, ASG President Nehaarika Mulukutla introduced a Finance Committee code change that would remove A- and B-status funding designations. The reform, which Mulukutla said has been a goal of multiple past administrations, will be voted on next week. If the measure passes, there will instead be five financial tiers that clubs apply to for each event, rather than being assigned, she said. In addition, Mulukutla said an Innovation Fund would be created to fund new events, regardless of historical tier. Mulukutla added that the change will make it easier for lower-budget clubs to receive funding increases. Whereas the previous maximum yearly increase was 3 percent of the prior fund, the new system would have progressive percentage increases. “You should have the mobility and access to move through the system at will, provided you demonstrate capacity,” Mulukutla said. CTEC survey reform legislation was also introduced and will be voted on next week. The body later elected five new members to the Rules Committee.